Eight wins and no losses since the last coaches’ poll wasn’t enough to move SOU up in the rankings. However, the Raiders did move up to #4 on Massey for the first time this year. One good thing to note is the Raiders have the most difficult schedule (SoS on the graphic below), according to Massey Ratings, of the top four teams (Lindsey Wilson and Truett-McConnell are not in the coaches’ top four) which could prove useful to Southern Oregon come the NAIA Softball World Series. …and then, again, in Copenhagen in less than two months. Friday and Saturday the University of Providence (Montana) softball team will be in Ashland to take on the 36-5 Raiders. 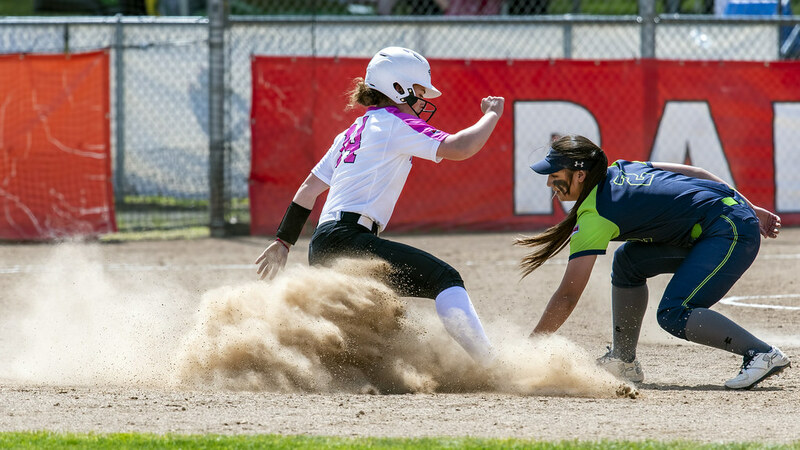 These are the last guaranteed games in the Rogue Valley this season (although the conference championship and first round of the NAIA Softball World Series could also end up here). Saturday will be Senior Day for SOU’s three seniors. Friday’s games are at 1 and 3, with Saturday’s at 12 and 2.